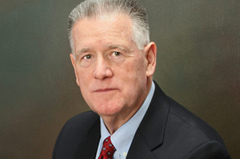 In Belvidere, Illinois, John H. Maville has been assisting clients in the Northern Illinois area for more than 50 years. We will provide you with honest and reasonable representation in your legal matter. We pride ourselves on listening to our clients and communicating frequently with them. If you are tired of attorneys who don't respond to you, don't get your work done on a timely basis, and don't seem to care about you, you will be pleased with our office. Handling cases in Boone and Winnebago and other surrounding counties in Northern Illinois, we offer representation in estate planning (wills, trusts, powers of attorney, living wills, premarital agreements and nursing home planning), guardianships (both adults and minors), estate and trust litigation, elder law, probate, adoption, civil litigation and business advice. We handle most legal matters a typical family encounters. We���ve served clients from many areas throughout Northern Illinois, including Rockford, Belvidere, Loves Park, Machesney Park, Roscoe, Rockton, South Beloit, Freeport and Dixon. You will find that we have outstanding experience in these areas and, if you compare our experience to other lawyers, you will agree that we are the best choice. The decisions you make in your matter will affect your life for a long time; you must hire the right attorney, one who is knowledgeable, experienced and skilled. Hire the best attorney. We will work hard for you. We will provide you with the highest quality legal services and a wealth of expertise, at a reasonable cost. Copyright © 2013 Maville Law. All rights reserved.